The current brouhaha created by comedian Roseanne Barr’s humorous tweet about former Senior Advisor to impostor Obama Valerie Jarred resembling a monkey from Planet of the Apes, created a frenzy of politically correct outrage. Just a few hours after her tweet was widely circulated, CFR-controlled ABC announced it was canceling her show amid a wave of backlash against the controversial star. First of all, to avoid misunderstandings I will make it very clear that I am not part of the car lobby in Washington D.C., I don’t get any money from car companies and I am not even a member of the American Car Association. The reason why I am against banning cars is because, contrary to what some people believe, cars don’t kill people; people kill people. According to a Chinese saying, “an image is worth a thousand words.” So, an image that has generated several thousand words is a photo of ultra-capitalist David Rockefeller warmly smiling while shaking hands with ultra-communist Fidel Castro Several explanations have been advanced to explain this seemingly obvious incongruence, all them unsatisfactory. How can we explain this anomaly? Finally, the cat is out of the bag. 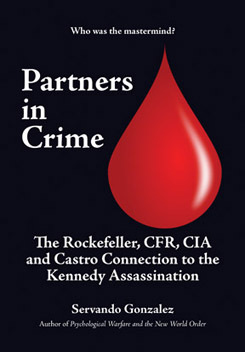 My book Partners in Crime: The Rockefeller, CFR, CIA and Castro Connection to the Kennedy Assassination is already available at Amazon.com and other bookstores online. Writing this book has been a real tour de force for me. Though I have been interested in the Kennedy assassination for many years and I had been writing notes, most of which I incorporated into this book, the idea of writing a book about the JFK assassination came to my mind around April of this year. A few months ago an American sitting President died. Surprisingly, no state funeral was held. No flags flew at half-mast, the White House was not draped in black, no official ceremonies were arranged, and no mourning period was declared. His body did not lie in state in the Capitol Rotunda and no funeral procession from the Capitol to Arlington National Cemetery occurred. I have always felt a great admiration and respect for former Governor Jesse Ventura. I consider him a person of honesty and integrity and a straight shooter. I admired him as an actor in Predator, one of my favorite Sci-Fi films which I have watched more than a dozen times. Nevertheless, I found difficult to understand why in his TV programs and books about conspiracy theories he has never mentioned the mother of them all: the fact that Fidel Castro was for close to 60 years a key CIA agent. The scandal about the resignation of Gen. Michael Flynn, President Trump’s National Security Advisor, as a result of phone conversations he had with the Russian Ambassador became national news. The most important thing, however, is how the person or persons who leaked the information managed to listen to Gen. Flynn’s phone conversations. Many people suspect the only organization that has the capability to do this is the National Security Agency. Currently, the same people who created “Remember the Maine,” “Remember Pearl Harbor,” “Remember he Gulf of Tonkin” and “Remember 9/11,” have pulled another rabbit out of their magician’s hat: “Remember the Russians.” Seemingly, they want to kill two birds with the same stone: stealing the election from Trump and begin the new Cold War they have been craving. 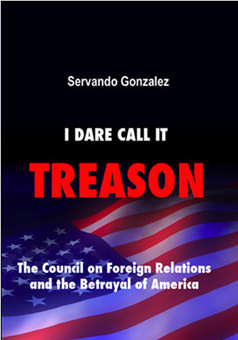 Order your copy of I Dare Call It Treason today! 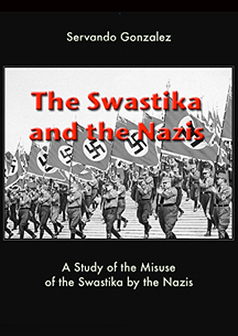 Or download a .pdf copy of the book you can read on your computer or i-Pad. Order your copy of Psychological Warfare and the New World Order today! Order your copy of Partners in Treason today! In early 2009, Servando Gonzalez was inducted to the Freedom Force International's Hall of Honor. 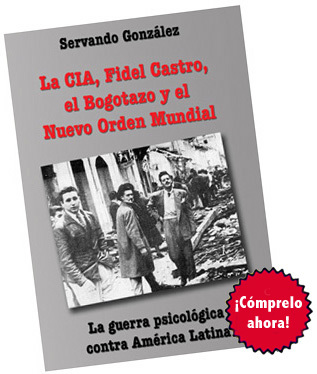 Ramón Conte, autor del libro Historia oculta de los crímenes de Fidel Castro fue testigo presencial de cómo la CIA reclutó a Castro y lo envió a Colombia para participar en el asesinato de Gaitán y en los disturbios del Bogotazo. Talk radio host J.D. 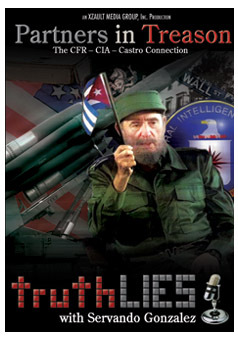 Moore of Red Pill Reports interviewed Servando Gonzalez about the Cuban Missile Crisis, the CIA, Fidel Castro and the Invisible Government of the U.S..
Talk radio host Chuck Morse interviewed Servando Gonzalez about semiotics, the CIA and deep politics. Talk radio host John B. Wells interviewed Servando for his new radio show Caravan to Midight. The legendary talk radio host Clyde Lewis of Ground Zero Radio interviewed Servando on January 26, 2012. On January 9 & 10, 2012, Tamar Yonah, Israel's most popular English language radio talk show, interviewed Servando Gonzalez in her show at Israel National News. Click here and here to listen to the interviews. On May 22, 2011, radio host Dave Hodges interviewed Servando Gonzalez for his The Comon Sense Show transmitted by the Republic Broadcasting Network. Click here and here to listen to the interview. Shepard Ambellas, founder of The Intel Hub Radio Show, interviewed Servando Gonzalez on March 25, 2011. Click here to isten to the interview. Writer and political commentator Barry Chamish interviewed Servando Gonzalez on the Barry Chamish Radio Show. You'll hear Servando speak on a few interesting topics which should aid your research into this field of the New World Order. Just click here. 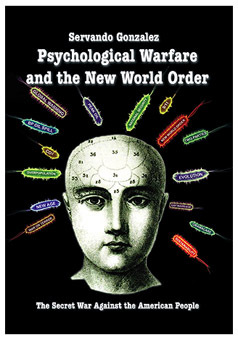 Known radio personality Rob McNealy, of WRKP, Denver, CO, interviews Servando Gonzalez about his new book Psychological Warfare and the New World Order. Listen to the interview at MacNealy's web site clicking here, or directly through your iPod or iPhone clicking here. 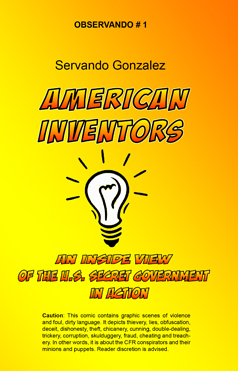 On January 31 2011, author and radio host Dr. Stanley Montieth interviewed Servando for Radio Liberty. You may listen to the interview clicking here. On January 3, 2011, author and radio host Deanna Spingola interviewed Servando for the Republic Broadcasting. You may listen to the interview clicking here and here.